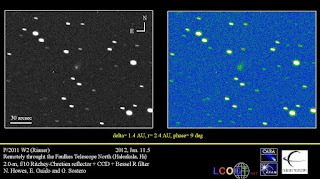 Today, January 27, 2012 at about 15:25 UT, the asteroid designated 2012 BX34 will pass only 59,044 km (36,750 miles) or about ~0.2 lunar distance (or 0.0004 AU) above the Earth's surface. 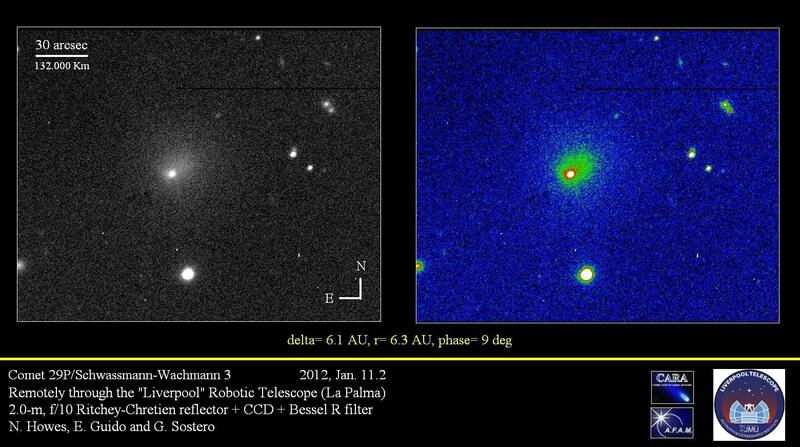 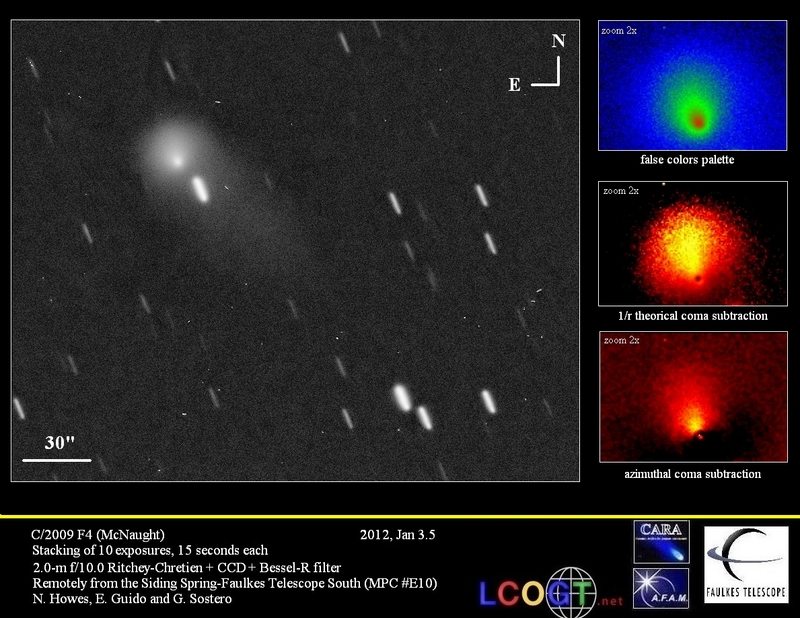 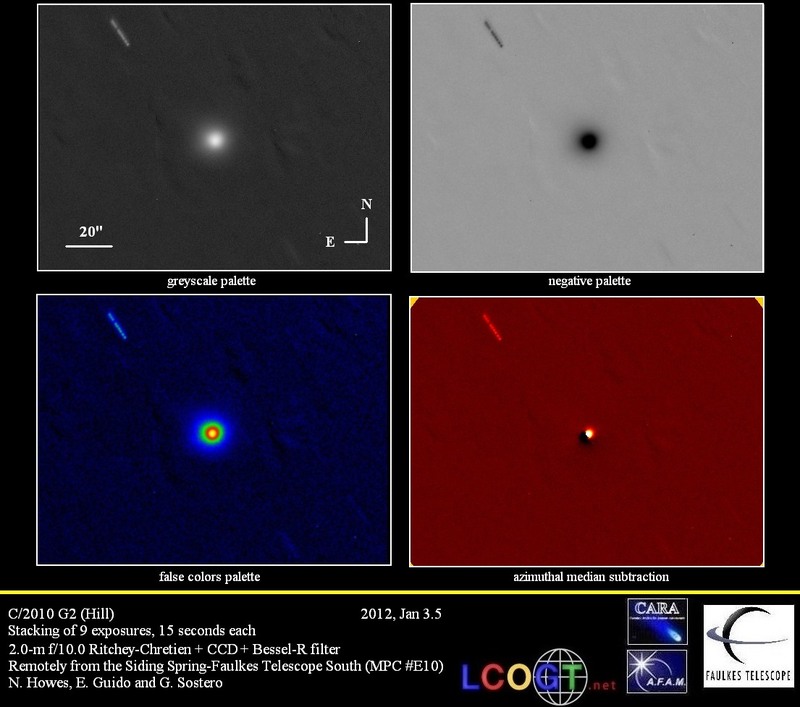 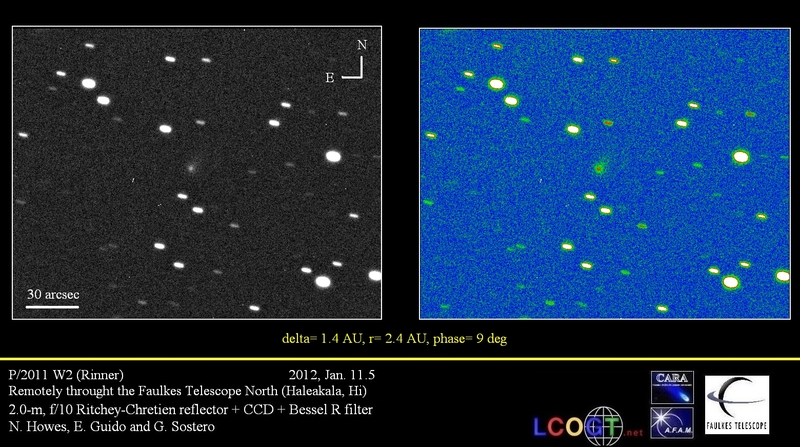 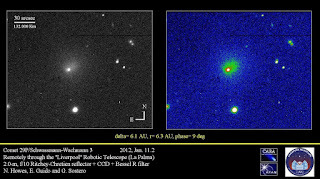 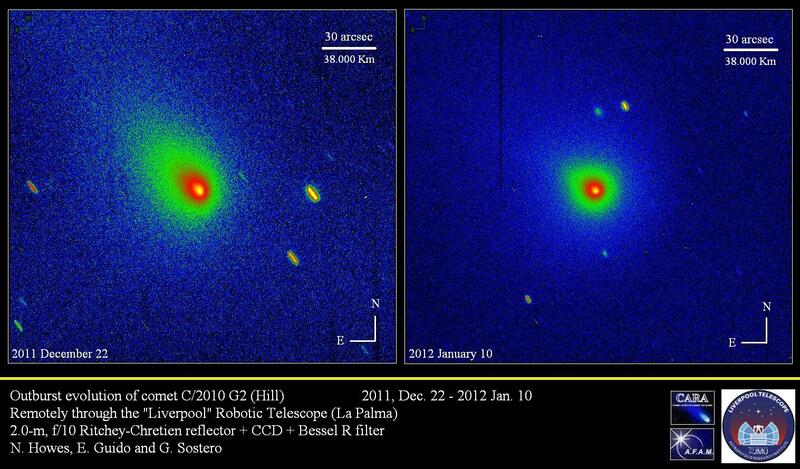 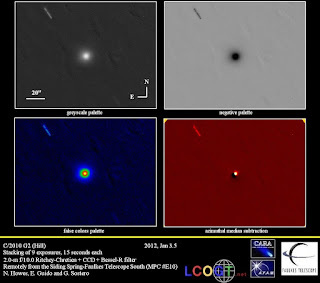 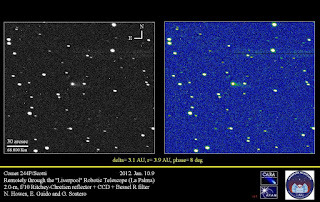 The asteroid was discovered by Catalina Sky Survey with a 0.68-m Schmidt + CCD on January 25, 2012 at magnitude ~20. 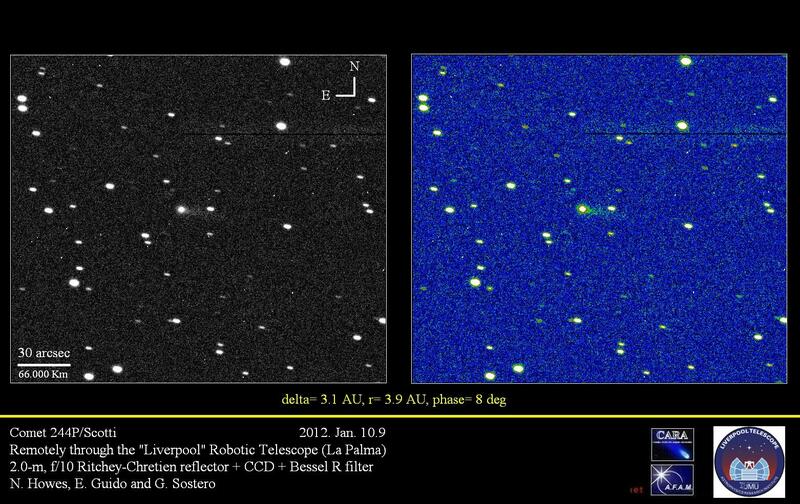 According to its absolute magnitude (H=27.6) this asteroid has an estimated diameter of roughly 8-18 meters, so it is very small. 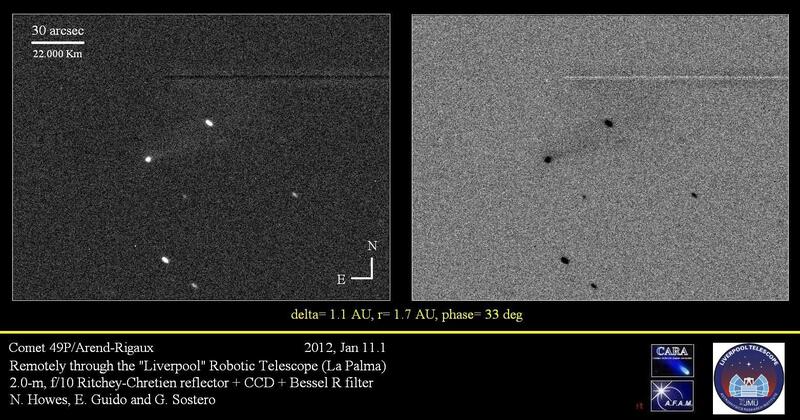 We have been able to follow-up this object few hours ago remotely from the GRAS Observatory (near Mayhill, NM) through a 0.10-m f/5 reflector + CCD. 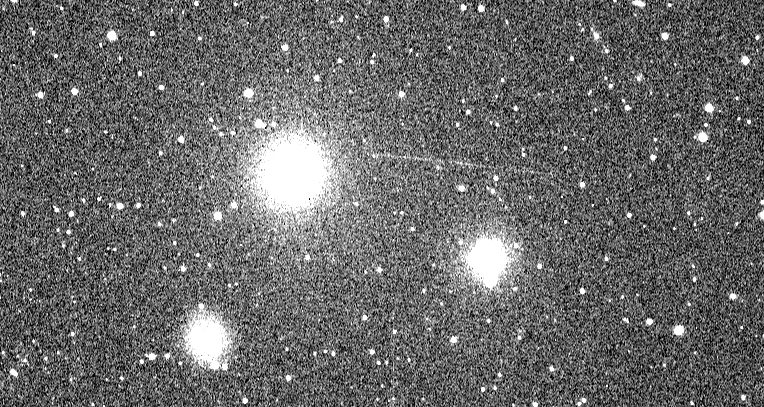 At the moment of our images from New Mexico on January 27, 11:04UT, "2012 BX34" was moving at about ~318.86 "/min and its magnitude was ~15. At the moment of its close approach around 15UT of today, 2012 BX34 will be bright as magnitude ~13.8 and moving at ~1810 "/min. Below you can find a selection of some of the comets we imaged in the last 2 weeks using the 2-meter telescopes of Faulkes (F65 & E10 MPC codes) and the La Palma-Liverpool (J13 MPC code). 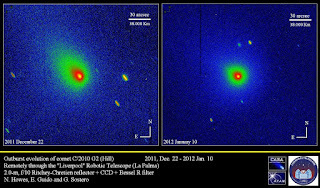 Click on each image for a bigger version.